Nylon Corporation of America, Inc. (NYCOA) is a leading manufacturer of engineered nylon resins. With one of the broadest product portfolios in the industry, NYCOA has established itself as a leading supplier of specialty high-performance nylons. In addition to an extensive line of standard nylon polymer and copolymer base resins, NYCOA manufactures a wide range of engineered compounds including impact modified, plasticized, glass fiber/mineral/carbon fiber- reinforced, and flame retardant materials. 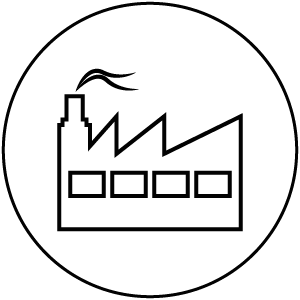 The ISO 9001:2018 certified company also has the capability to polymerize many unique nylon resins that are in-situ modified with inorganic additives. NYCOA has established a strong market presence and built a diverse customer base in virtually every key nylon market. The company’s materials are used for a variety of molding and extrusion applications. Key market segments for NYCOA nylons are automotive, film, appliance, wire and cable, monofilament, industrial/machinery, and electrical/electronics. NYCOA's unique strength is in its versatile polymerization and related manufacturing capabilities which enable its highly experienced staff to respond quickly and effectively to specific customer requirements. NYCOA's combination of continuous and batch polymerization capacity provides the necessary flexibility to produce large volume orders, as well as offer an extensive line of customized nylon resins which satisfy the application needs of individual, small-volume customers. Since its acquisition by Wembly Enterprises in 2013, NYCOA has undertaken a new strategy for growth and elevated its leadership role in high-performance nylons by investing and expanding in its research and development efforts and focusing on developing innovative solutions and technologies. In research and development, NYCOA has made significant advancements in its state-of-the-art lab-scale and pilot-scale reactor polymerization capabilities. NYCOA's R&D staff works closely with customers to clearly understand their needs, provide technical assistance, and develop new products and applications. NYCOA’s mission is to be a best-in-class supplier of nylon solutions to meet our customers’ product needs. Our exceptional team of professionals is focused on delivering value through a relentless commitment to quality, continuous improvement, customer focus, and product innovation.